(CBS News) No place on Earth has seen the bad end of the war on drugs more so than Latin America, where drug gangs flourish and bystanders are murdered by the tens of thousands. 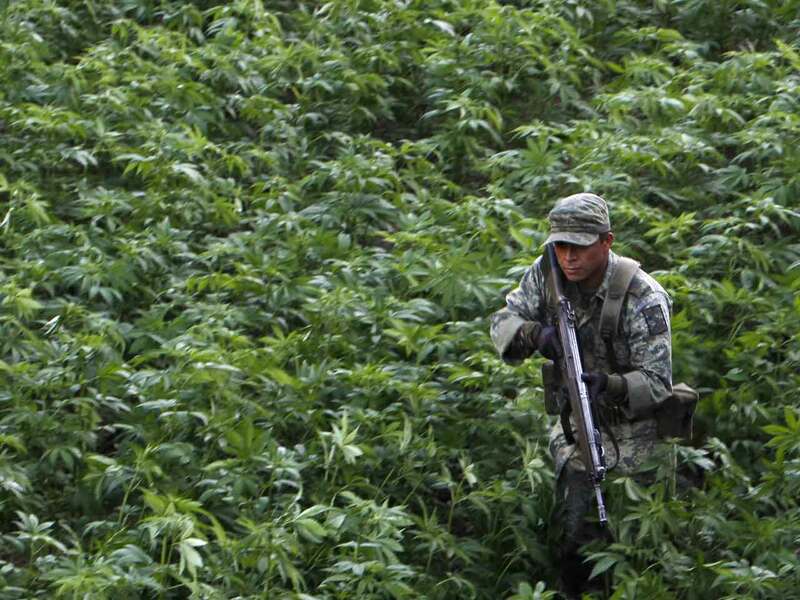 A lot of the drug war-related suffering in Latin America is due to its proximity to the United States of America, which by all accounts is the world's biggest illicit drug consumer, all while being among the drug war's biggest proponents. At the upcoming Summit of the Americas on April 14 and 15, it appears a new crop of Latin American leaders may press the Obama administration for an open and new kind of discussion on the war on drugs. Guatemalan President Otto Perez Molina reflected the new tone among many in Latin America on the drug war in a recent op-ed for the Guardian: "Knowing that drugs are bad for human beings is not a compelling reason for advocating their prohibition. Actually, the prohibition paradigm that inspires mainstream global drug policy today is based on a false premise: that the global drug markets can be eradicated. We would not believe such a statement if it were applied to alcoholism or tobacco addiction, but somehow we assume it's right in the case of drugs. Why?" Mexico drug gangs using more children as "mules"
Molina has good company among Latin American leaders in questioning the drug war. Mexican President Felipe Calderon, who recently traded barbs with President Obama over the drug war, has called for a national debate on the subject. Former presidents Ernesto Zedillo of Mexico, Fernando Henrique Cardoso of Brazil and Cesar Gaviria of Colombia signed off on the Global Commission on Drug Policy report that began with the line "The war on drugs is a failure." Even current Columbian President Juan Manuel Santos - whose country has received countless millions from the U.S. to fight the drug war - has carefully questioned the current approach. In a Guardian interview, Santos said: "This is a very sensitive political subject and there's a lot of hypocrisy there. Many leaders, in private, they will say something and they tell me something and in public they say, 'But I can't do this probably because my people will really crucify me'." Santos said he would support debate but stopped short of calling for the drug war's end, and admitted he too was afraid to be among "the vanguard" pressing for a change. The U.S. government has remained under both Republican and Democratic presidents among the biggest drug war advocates. Vice President Joseph R. Biden said on a recent trip through Mexico and Honduras that the United States will not budge in its opposition to drug legalization. Although Biden said the idea of legalization "warrants discussion," he said the U.S. has a firm policy that legalized drugs would create more problems than they solve. If the U.S. continues this policy, it may soon find itself alone in the Americas, as even Canada has begun publicly debating the idea of more lax drug rules. Whatever the outcome, the Summit of the Americas may be the first and best opportunity for Latin American leaders to start an open and honest debate on a drug war that has morphed into a worsening plague for most of their citizens.